Two in a Row! Can you say . . . outSTANDing?! 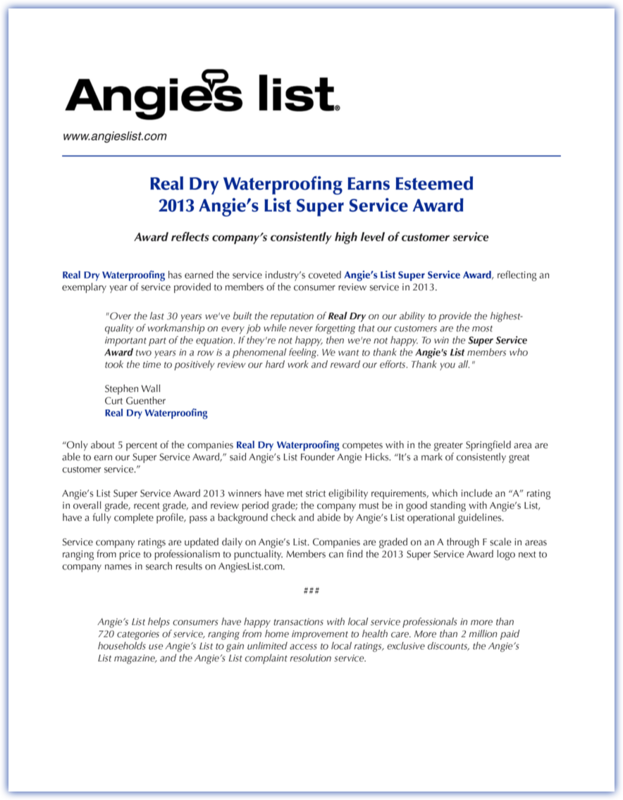 For the second straight year Real Dry Waterproofing has won the coveted Super Service Award from Angie's List. It's a great feeling when you realize that all the hard work really does pay off. And to ALL of you who took the time to leave us positive reviews, we want to thank you SO very much – because we couldn't have done it without you!